This was the last of the three race series for the Thirsty three, the first two being Hightail to Ale and Running Between the Vines. I chose to run the 10k. It was a fun race and fun series. The theme is awesome. Given this was a new race, I will give the race management a little slack however there are improvements that need to be done to make this better and I feel that Running Fit events should have known about some of this issues ahead. While I enjoyed each of the races, it's probably not a series I'll do again. Well, at least not right away. If you did not run the races this year though, it's worth doing the series. 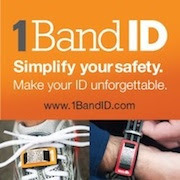 Registration was very easy as I signed up online through Running Fit. 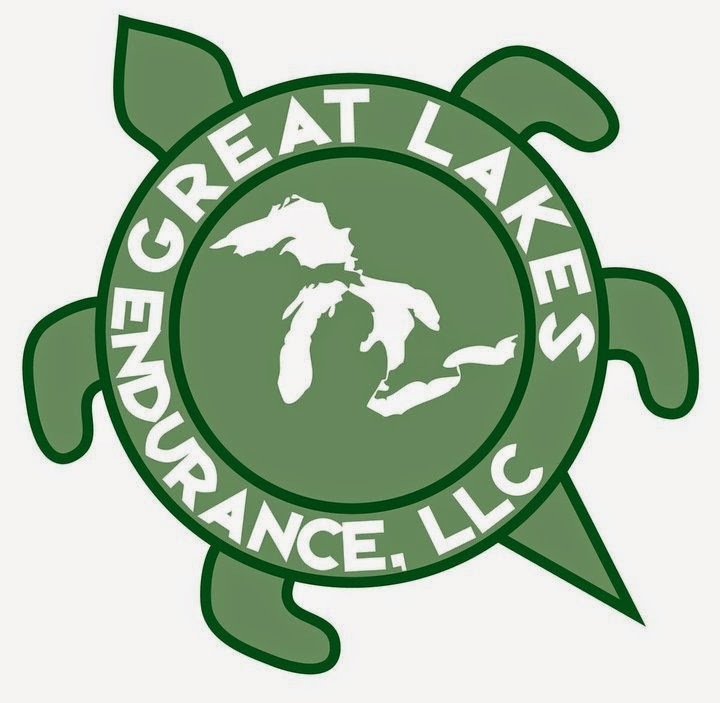 I signed up for the entire series at one time with a discount code so total cost was $132.56 - very fair price for all three races including a 5k, half marathon and 10k. Packet pickup for this race was also excellent. You had three options to pickup your packet on Thursday, Friday and race morning. Since both packet pickup were in Novi and Ann Arbor, I opted to just pick up race morning given the far drive to these locations. I got there race morning around 8:45am with plenty of time to get my packet and put my shirt back in the car. While I do prefer an earlier start, this race started at 10:30am which was nice given the distance it is from me. I actually waited around in my car for awhile waiting for race time to start. The race had bib numbers out for everyone but they also emailed you your number as well so I didn't need to look it up that morning. I was in and out of registration with my packet within minutes and things were very organized. As things got closer to race time, I went back to the start area to check things out. The orchard store was open and you could buy things if you wanted except for alcohol. I actually ended up staying in the store to stay warm as there were others in there waiting for the race to start and keep warm as well. Before that though, I wanted to get in line for the bathroom. I'm glad I got in line early because there clearly was not enough port-o-potties. As you can see below, that is the line for the bathrooms. Holy cow! I'm not sure why Running Fit decided that was enough but it clearly was not. Someone I know even started the race late because they were still in line. That line was crazy. I know, I know - get to the race earlier then but, in this case, more bathrooms were needed. The runners were standing around talking as things were ready to get started. You can see from the coats, it was a little chilly outside but perfect for running. Back I went into the store. It was a neat little place and I got some pictures of the hard cider. They also had a litle tap in the store for hard cider which looked really cool. With about 10 minutes to go, I went to get in line and was ready to race. I guess they had a last minute change to the course due to a bridge being out on the course. Not sure why the race management didn't know about that sooner. 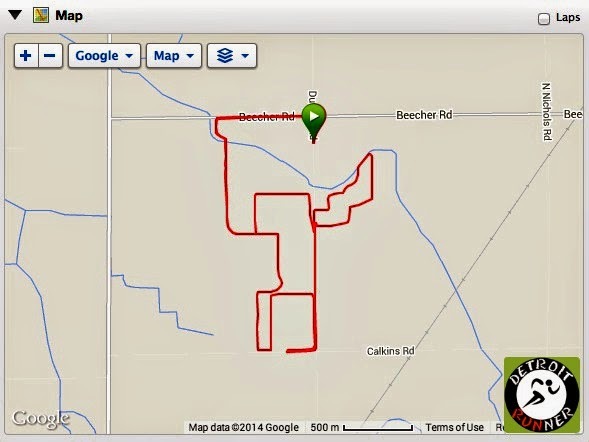 Regardless, I liked that the course was mostly dirt roads and orchards. It made for a nice soft terrain which I liked. The turns though - on my, the turns! I'm not sure I've seen a course with so many turns. It didn't seem that well laid out but then again I'd still take this over running more roads. I had no goal for the race other than to enjoy it since I was not supposed to be racing given I have my 50k this weekend. Of course, I ran way faster than I should have. The elevation was really flat and uncharacteristic of the typical Running Fit courses. Before we got started, the race did a few announcements. They were telling people what to follow in regards to the course. I was fairly close to the start line and could barely hear what they were saying even with their PA system. The race did the National Anthem and we were off. I didn't feel like it was extremely crowded and I went into the first wave so I'm not sure there were other waves. The course started with a small portion on the roads. It was a great fall day out for running. Check out the color on those trees! We came up to their first farm/orchard while just starting the race. You can see below that some of the runners had to park in the field next to the barn. We then passed another orchard as well. I didn't take the time to stop into it afterwards but it was open for business. The police had the road blocked to help keep traffic off the course. Running on the orchard was nice and something different which is always good. There was a little bit of puddles and mud but overall a great surface to run on. It was more like a trail race than a road race and I was very happy with that. The course was well marked with pink and blue flags so with any race, you followed your flag color and not the runner in front of you. It was cool to see the apples picked from the trees as well as see all the apples on the trees in the orchard. I was tempted to grab one and eat it along the way. Running between corn rows was also something new for me and really fun too. In fact, I think it would have been fun to run through more of this. The 10k runners were to follow the blue flags and the 5k were to follow the pink flags. It was well marked the entire course. They also has signs at all the turns and given all the turns, they were needed for sure. It was nice running the country roads too and there was some nice colors on the trees there too. You can see some white boxes below, and this was a first for me again, running by bees. We were right next to them but they were not active when we past them. Look at those trees! Just awesome running on the orchard. Fall was definitely in the air! Before I knew it, we were at the 3 mile marker. Then it was back onto the orchard property. I was also able to answer the question everyone has been asking. Where's waldo? While many of the runners I heard did not like the surface of the running, I really enjoyed this part the best. Yes, it was not stable and you had to be careful but it was still really nice. 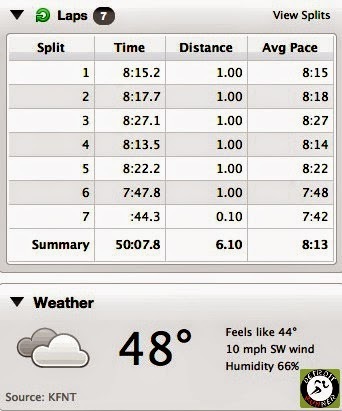 Given my speed, it was not that difficult since I usually run trails much slower. Below was my favorite picture of the course where we were running right next to the orchard. Next up was an open field to run through. I cannot imagine what this would have been like had it really rained hard. It would have been a muddy mess. I did wear trail shoes so I would have been ready for it. Fortunately, it was just fine and very easy to run through. Soon we were coming up on the 5k walkers. As we started passing more and more walkers, it got a little frustrating as we had to run around a wide line of people. Not that I completely fault the race for this, but perhaps changing the start time for the races may have helped this. At the very least, I think the race needed to tell walkers to line up in the back and also stay to the right when walking to give room for the runners coming through. I certainly did more dodging that I would have liked for the rest of the race. Unfortunately it was back to the roads to finish up the course. With that, we turned the corner and we were back to the finish line. I definitely ran this faster than I should have. There were two aid stations on the 10k course and they were well manned with volunteers offering water. I didn't hear anyone calling out Gatorade so I'm not sure if they had it or not but it was only a 10k and really not needed anyway. The stations were about two miles apart and was plenty for this distance. When you crossed the finish line, a volunteer gave you your medal. You then received your finishers glass with the race name on it. After this, they had apples for everyone. I already ate mine and it was delicious. Then I got in line for the pancake breakfast. This part was an awesome thought. Who doesn't love pancakes after a race, however, it takes WAY too much time to make fresh pancakes for everyone and it backed up the line. I wasn't even that far back in line and it took some time to get in there but the people at the back of the pack must have waited at least an hour! It was really cool inside as they had things set up just like a brewery. They had several taps for hard cider and you could also get soft cider. I decided to get the regular cider this time since I've tried the hard cider already. Yeah, I know - boring! The way they had the line for the hard cider was that you had to get out of line to get your hard cider. Then you were going to the back of the line you just stood in. It was not well planned and hope that they will fix it next year to make this better. You can see all the people in line for food. It was crazy busy! I have to say the guys making pancakes were doing the best they could but you can only cook them so fast. They had a cool machine to pour the pancakes quickly. As you came up to it, the guys making them would flip them in the air so you could catch them with your plate. Sadly, I missed one but he gave me another. We basically sat on pallets and ate our food. Frankly, for me personally, it didn't take that long to get through the line but I was also near the front of the finisher pack. They also had a fun blue grass band playing as well. I know that the race warned you to bring your own chair, but really, who was going to do that? I've only been to one race where that made sense and it was for an Ultramarathon. I talked a little with Steve about races and then headed out. The orchard was selling their hard cider in this building as well. When I left, I saw that the line was crazy long to get food. I probably would not have waited that long. Luckily it wasn't raining so people were able to get what they came for. Line for Pancakes and cider - wow that's long! I also checked out the results as I was leaving and almost forgot to get my Thirsty three medal holder but went back to the tent to get it. The race had my name already on the list and it was very easy to get it. For your entry, you received a chip timed race with a QR bib. The course was pretty much a closed course as the police were out there directing traffic. Much of the course was on orchard roads so there was no traffic on there. This was not a certified course. 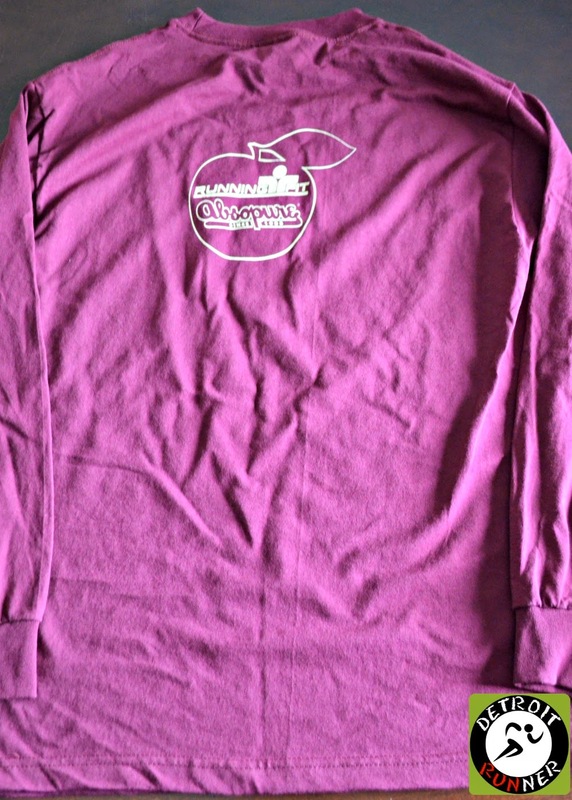 You also received a long sleeved, cotton shirt. I'm not a fan of these but my daughter likes to sleep in them so I always give her them. I prefer a short sleeve cotton or tri-blend shirt or a regular long or short sleeve tech shirt. While I understand that Brooks can't sponsor every race, given the amount of runners in this series, I would like to see a Brooks tech shirt for these three races. You also received a really cool medal with a custom ribbon. The cutout in the apple also doubles as a bottle opener. Another excellent design for a medal and I have to say, once again, Running Fit really stepped it up this year on all their races when it came to medals. This was was no exception. Excellent quality and design! Everyone also received a finishers glass as you did for the other two races. This was a nice design as well. We used it to drink the cider after the race too. 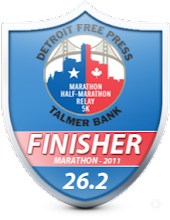 Also, with all Running Fit races, you received the traditional race pin. This will likely be my last one this year but I managed to run six of their races this year. If you did the Thirsty 3 series, you also received a medal holder for the three races. I had originally thought this was going to be bigger but it does fit the three medals for the race series which is the point. This is also a really nice design too and it's nice quality. Here's a picture of the three medals with the medal holder. 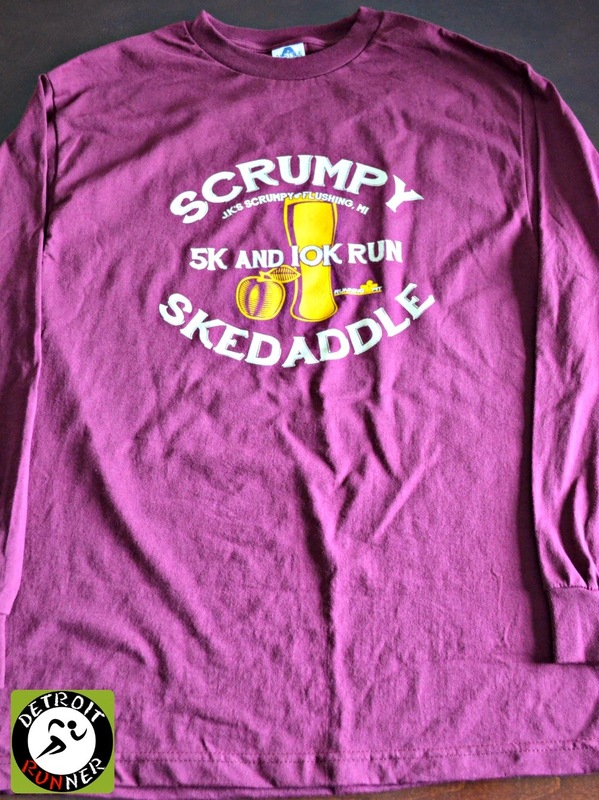 Each race also had a shirt. 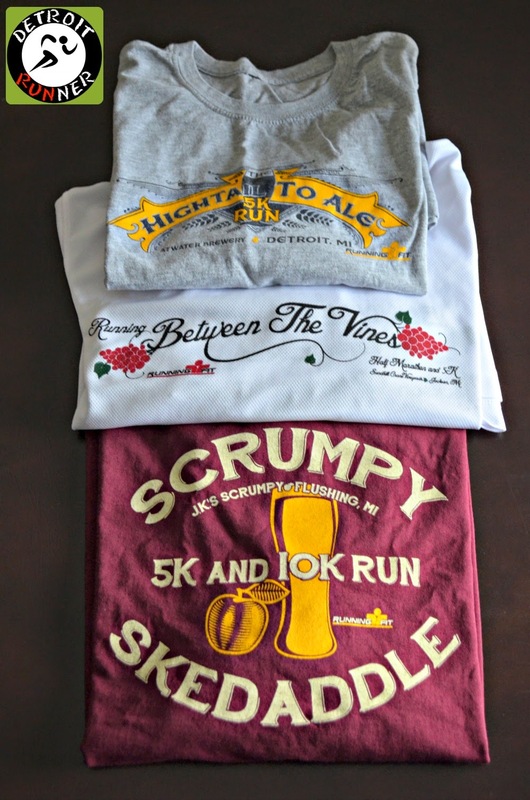 A short sleeve cotton for Hightail to Ale, a short sleeve Brooks tech shirt for Running Between the Vines and a long sleeve cotton for the Scrumpy Skedaddle. 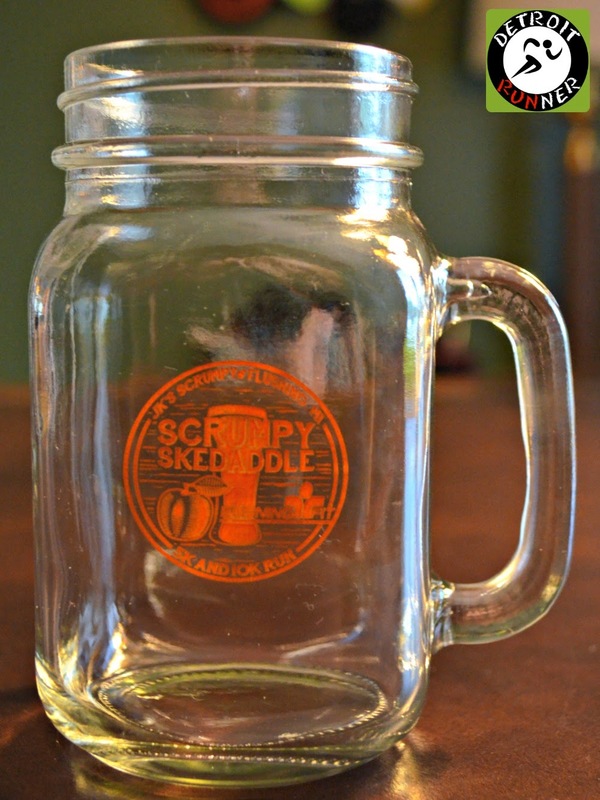 Each race also offered a finishers glass each in the theme for the race. Truly a very unique race series and an excellent idea. I have high regard for Running Fit and their organization, however, it seemed to me that this venue was much too small for the amount of people. The lines were just too long. They needed more port-o-johns. It's clear that while pancakes are awesome after a race, they are not the right choice. I felt a couple donuts would have been a better way to go with cider. The race could have got people out of there much faster. The course was well marked. The race started on time. The registration process was easy. The parking was fairly easy especially if you got there early. Overall, I had a really good time with not only this race but the series as a whole. Running Fit does do a good job with events and given these were all new races, I'm sure they learned some things for each race so they can improve on them next year. The idea was a unique one and a fun theme that was very popular. 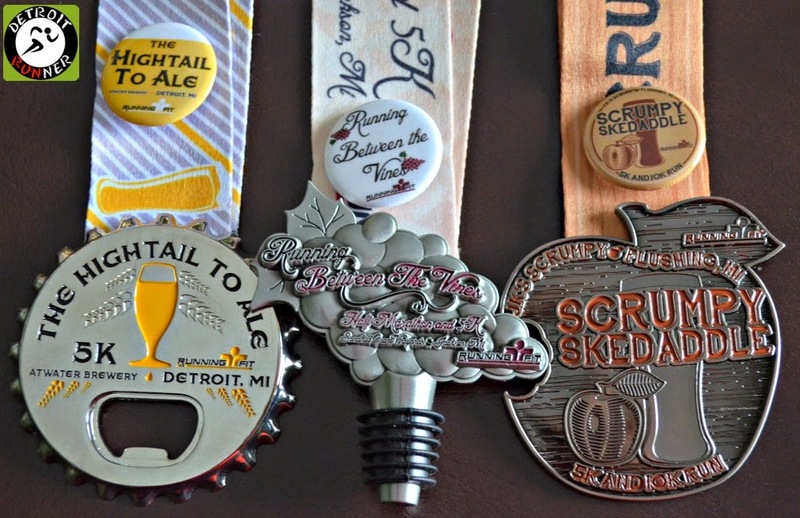 I loved the beer, wine, cider theme and for the most part, Running Fit did a great job with the Scrumpy Skedaddle as well as the other two races. I'll likely not do the race series again but mostly because two of the races are so far away from me. Running Between the Vines and Scrumpy Skedaddle are both over an hour which I can live with for a half but it's pretty far for a 10k. It was a really fun theme but I just don't feel the need to do them again. Given that, if you did not run these this year, they are worth doing especially if you sign up early for all three races like I did. Disclosure: I paid for these races with my own funds. All opinions are my own. You should have run a bit faster to break 50!